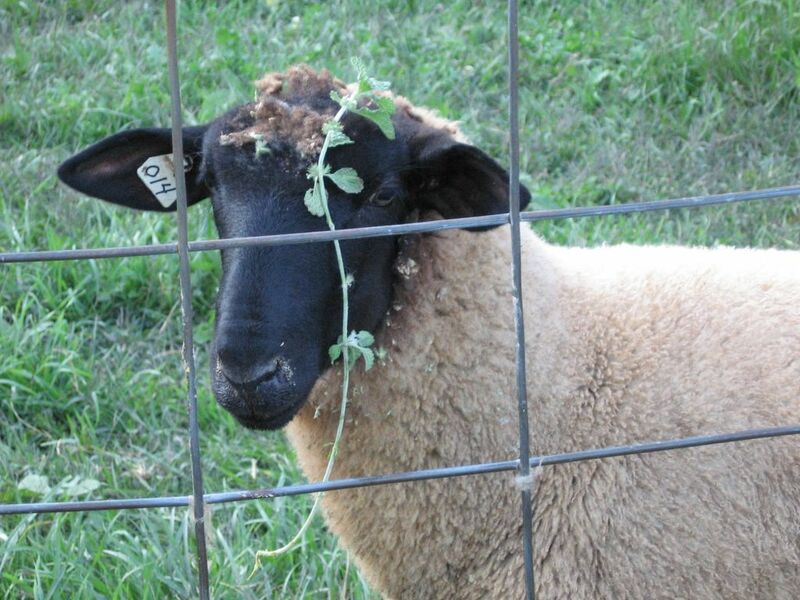 I love your sheep photos! The little farm where I ride only has pigs and goats in addition to the horses (and dogs and cats). I fell in love with these tiny rams with curled horns while we were on our honeymoon in southern England. He's just acting out the part of the song, "littlelambsadivy" (or littleramsadivy) except you should wear your ivy before eating it. Wouldntyou? Is that a new ram mating costume? He's just trying to get Cary's attention by wearing some food. Those handsome male sheep don't get the name "ram" without justification. Looks like he just butted his head into some inconvenient vegetation! OMG, yellow dog said it best. Too funny. I can't help but fall in love....I'm sure all your female sheep must be swooning with that look! Thanks. GREAT picture. That is just such a great photograph. It's the sheep equivalent of showing up with some chocolate- a time honored way of making an impression. Don't you just love a guy who's not afraid to wear the food? That is one mighty handsome sheepie. I'd love to have a behbeh. Too bad I livew in the burbs and not in my own farm (yet).